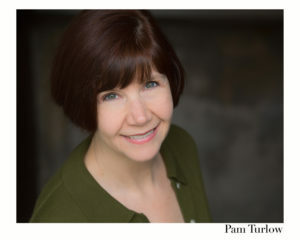 PAM TURLOW is a long-time member of WDI and has appeared in several of her favorite roles ever, including Drowsy in “The Drowsy Chaperone”, The Princess Puffer in “Drood” and Muriel in “Dirt Rotten Scoundrels”. Her directing credits at WDI include “Mad Mid-Mod Musicals”, “A Christmas Carol” and one of her favorite shows of all time, “Company”. By day, Pam is a professional voice-over talent for decades and an author of a number of books. She lives in Elmhurst with her wonderful hubby, Ben Dooley, and their dainty beaglette.